New products included Very narrow Aisle Reach truck (8RFBA), 4-Way Reach Truck (8FBS), upgraded Reach Truck (8FBR), Key Cart along with FDZN, Battery operated forklift and stackers were exhibit. The new standard fleet management feature, namely I_Site was also on display. 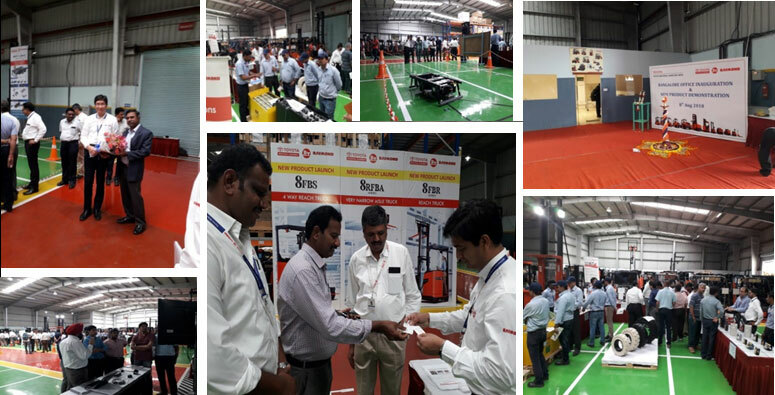 Visitors have appreciated the new product range and live demo of newly launched products. Various service packages offered along with a well-organized display explaining the advantages of using Toyota genuine parts were included in the show. The rental services desk also received ample attention during the show. Customers went back satisfied with the new product demonstration and the portrayal of various services offered by TMHIN.